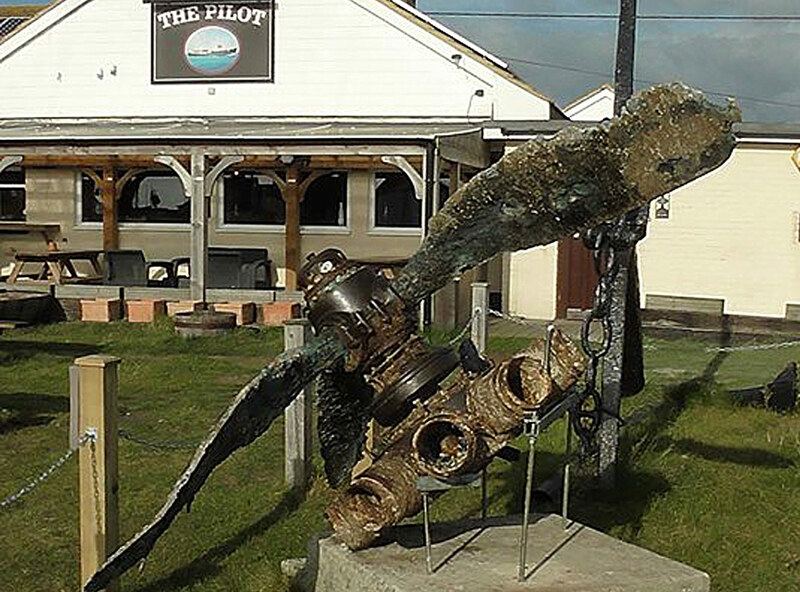 The engine and propeller, in the garden of The Pilot, is one of four Wright/Cyclone engines and propeller from a WW11, B17 Flying Fortress bomber (the same aircraft as The Memphis Belle). 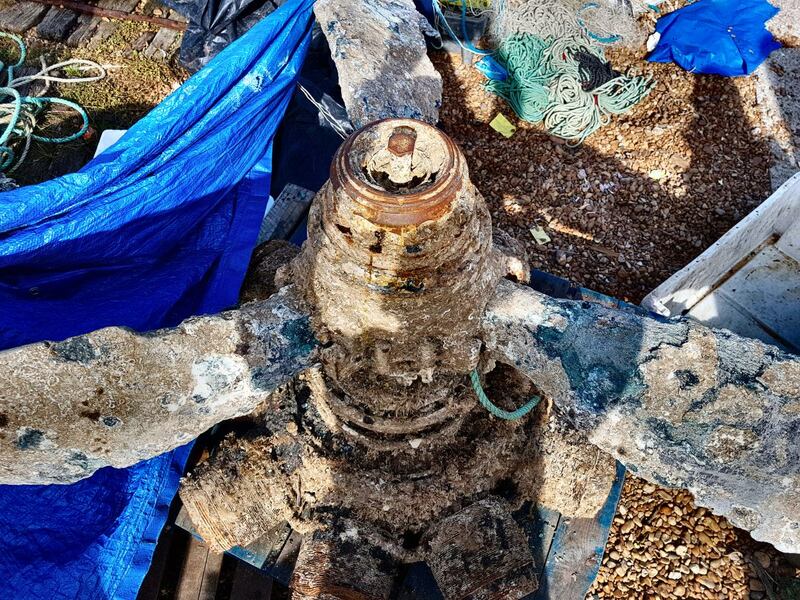 The artefact was accidentally snagged off Dungeness on the 18th of September 2017, by Joe Thomas and Tom Redshaw (local fishermen). 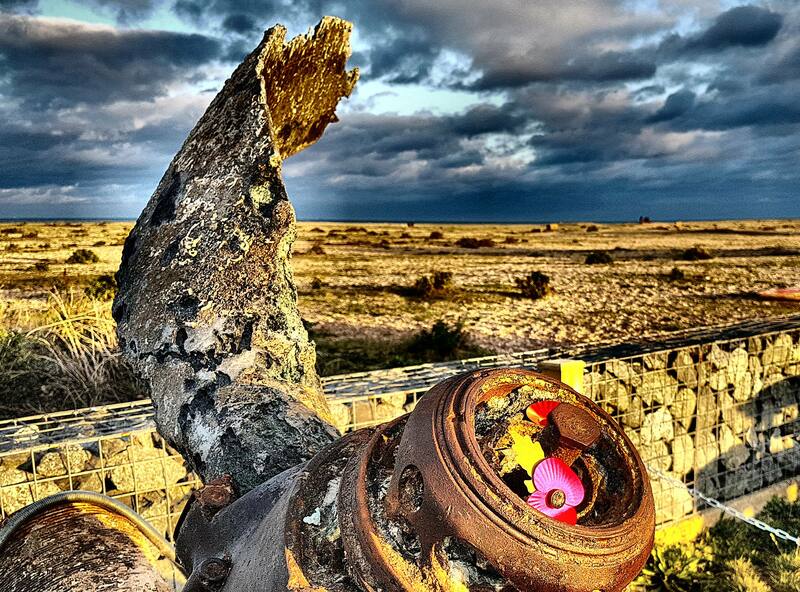 The engine is almost certainly from a well documented B17 Flying Fortress that ditched off Dungeness in 1944. The Sleepytime Girl was on a daytime bombing raid, on an aircraft factory over Oberpfaffenhofen in Germany. The aircraft suffered heavy flak damage over Germany and all four engines stalled. The crew dived the B17 to 5,000 feet and managed to restart the damaged engines. The crew then had a vote and opted to strike back towards the safety of Britain, rather than trying to make it to Switzerland, which was closer. At 5,000 feet the B17 was a sitting duck and was repeatedly attacked over France, where two German ME-109’s further damaged the aircraft, knocking out three of the four engines. 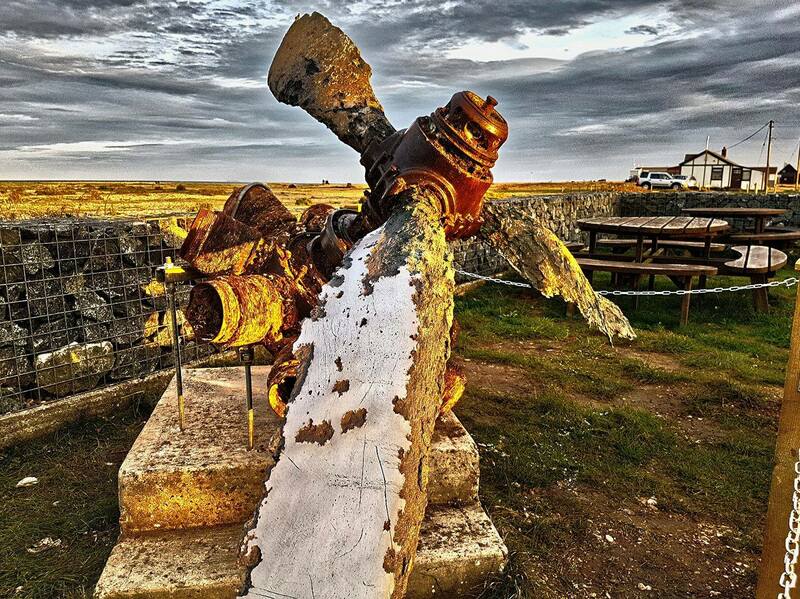 Amazingly, the remaining crew managed to limp the aircraft back over The Channel on a single engine, where they ditched it off Dungeness. Only four of the original crew of ten were left alive and were rescued by an Air Sea Rescue Walrus (an amphibious biplane). The Co-Pilot William Nesen, received a posthumous Purple Heart. It’s difficult to imagine how these incredibly brave men in their teens and early 20’s, could submit themselves to a virtual death sentence on a daily basis. Please take a few moments to reflect on the extraordinary sacrifices that were made for us, in order to free occupied and oppressed peoples and to ensure our own freedom and way of life.